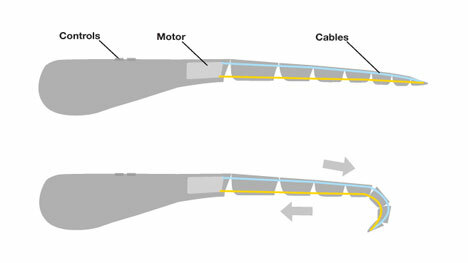 Prosthetic limbs come in a very wide range of designs and functions. Some of them are mostly ornamental while others are made to perform all of the functions of a natural limb and more. 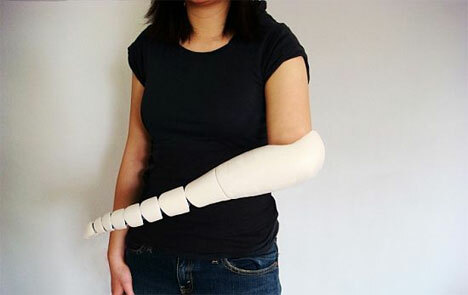 This may be the first Tim Burton-esque prosthetic limb to ever be brought to conceptual life. 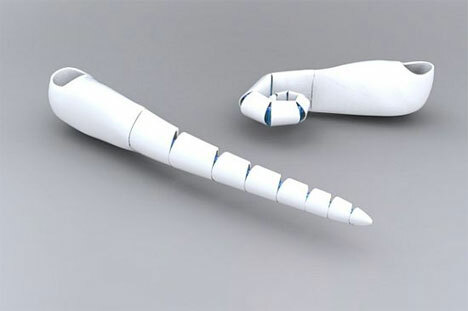 Dreamed up by industrial design student Kaylene Kau, this prosthetic arm is flexible and adjustable to perform a variety of tasks to assist the remaining natural limb. The arm is made up of a series of segments that curl around items to manipulate them, much in the way a hand closes are items to pick them up or move them. It would be an ideal prosthetic for the more playful amputee since it looks a bit like an arm out of a cartoon. Kau was encouraged by her professor to push the boundaries of prosthetic limb design, which she did beautifully with this unique take on a functional artificial limb.